An online directory of farmers who sell to restaurants, schools, grocers, and other wholesale accounts. Search the Directory: Looking for local foods fresh from Minnesota Grown farms? If you represent an institution, school, grocer, co-op, or other wholesale account, use this online Wholesale Directory to find local farmers and producers. Add Your Farm: Are you a farm or business looking for institution, grocer, or school contacts? Are you interested in entering or already established in wholesale markets? 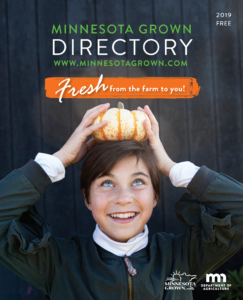 Add your farm to the Minnesota Grown Wholesale Directory to grow these connections today! Minnesota Grown members can be added to this directory free. Questions? Learn more about the Minnesota Grown Wholesale Directory.